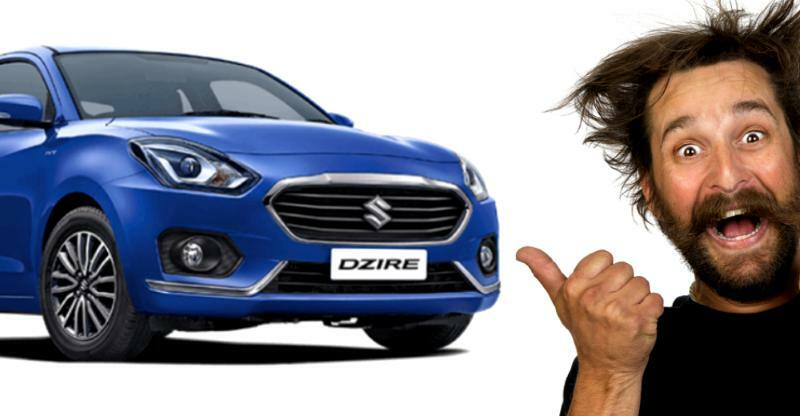 Maruti Dzire is India's BEST-selling car, yet again! Maruti Dzire is India’s BEST-selling car, yet again! Despite December traditionally being a weak month for car sales, the Maruti Suzuki Dzire has beaten the odds to emerge as the best-selling car in India. The Dzire once again beat the Alto hatchback in sales, with Maruti dispatching 21,145 units of the Dzire in December 2017, compared to 20,346 dispatches for the Alto. The Dzire is also neck and neck with the Alto in terms of the most number of sales for the entire year of 2017. While 257,732 units of the much cheaper Alto were sold in 2017, the Dzire ran a close second, with sales of 225,043 units. The Dzire is much more pricier than the Alto, and also comes with a lot more variants and engine-gearbox combinations. The Dzire is sold in 14 variants, with the cheapest starting from 5.43 lakh rupees while the costliest variant sells at Rs. 9.39 lakhs. The Dzire is offered with 2 engine options – a 1.2 liter K-Series engine with 84 Bhp and 114 Nm, and a 1.3 liter turbocharged diesel engine with 74 Bhp and 200 Nm. Both engines get 5 speed manual gearboxes as standard, and AMTs as options. Maruti has based the Dzire on the HEARTECT platform, which uses lightweight, high strength steel to cut on weight. This has made the new Dzire lighter than the previous version, and the lightness has contributed to better pick-up and fuel efficiency. The new Dzire Petrol offers an ARAI certified mileage of 22 Kmpl while the diesel offers 28.4 Kmpl. Low running costs form a major part of the Dzire’s universal appeal. The car also gets airbags and ABS as standard across variants. Soon, the Dzire’s hatchback sibling – the Swift – will be launched in the Indian market. Together, these cars may well do 35,000-40,000 units every month, making them the most successful cars for Maruti in India. 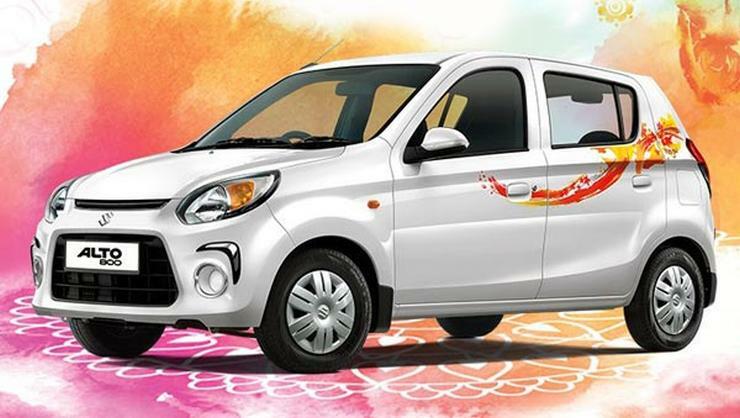 The Alto, on the other hand, is offered with 796cc and 1 liter petrol engines, both 3 cylinder units. The smaller engine is also available with a CNG option in select markets. 5 speed manual gearboxes are standard on both engines while the bigger engine also gets a 5 speed AMT option. The prices of the Alto start from Rs. 2.46 lakhs.